Ph. D., Materials Science and Engineering, University of Michigan, Ann Arbor, Michigan (1988). M.S., Materials Science and Engineering, University of Florida, Gainesville, Florida (1983). B.S., Ceramic Engineering, Yonsei University, Seoul, Korea (1975). 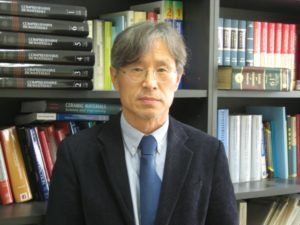 Senior and Principal Research Scientist, Korea Institute of Science and Technology (1994-2003). Research Scientist, Oak Ridge National Lab (1989-1990).